A Polson man was committed to the state Department of Corrections for a total of ten years with five years suspended at District Court in Polson on Thursday, Sept. 6. Davis was ordered to pay restitution in the amount of $5,700.86. Richard Anthony Davis, 30, entered a plea of guilty during an earlier court appearance to felony burglary and misdemeanor theft involving an elementary school. A teacher at Linderman Elementary School was able to provide investigators with a list of stolen items, including 10 laptop computers, nine iPads, one desktop tower, and other miscellaneous items. According to court records, the burglary was reported at Linderman Elementary School the morning of February 19. An investigation showed someone pushed a window-mounted air conditioning unit through the window to gain access to the school. A Lake County Sheriff’s Deputy found a casino cash-out ticket in the amount of 26 cents, time-stamped 02-17-18 at 22:41.23. The deputy took the ticket to the Kwataqnuk Resort Casino in Polson and matched the ticket with surveillance video to a person playing a poker/keno machine. The clothing of the person playing the machine matched the clothing worn by the suspect seen in surveillance video from the school. Using the surveillance video, investigators determined the identity of the suspect. 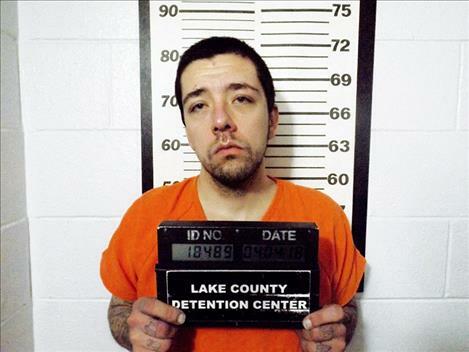 Davis was arrested on charges of burglary on April 4 after multiple law enforcement agencies in Lake County followed leads to find him. According to court records, stolen items from the school were located in the car driven by Davis. At the time of his arrest, Davis insisted that he was Richard Andrew Davis and not Richard Anthony Davis. His sentence will run consecutively with another suspended sentence to the DOC involving an attempted escape. Davis was to appear in court on Dec. 20, 2012, on trespassing and obstruction charges when he attempted to bolt from Lake County Detention officers who were in the process of leading him out of the courtroom and back to jail.